Hello Everyone! It's Brigit here from Brigit's Scraps!! 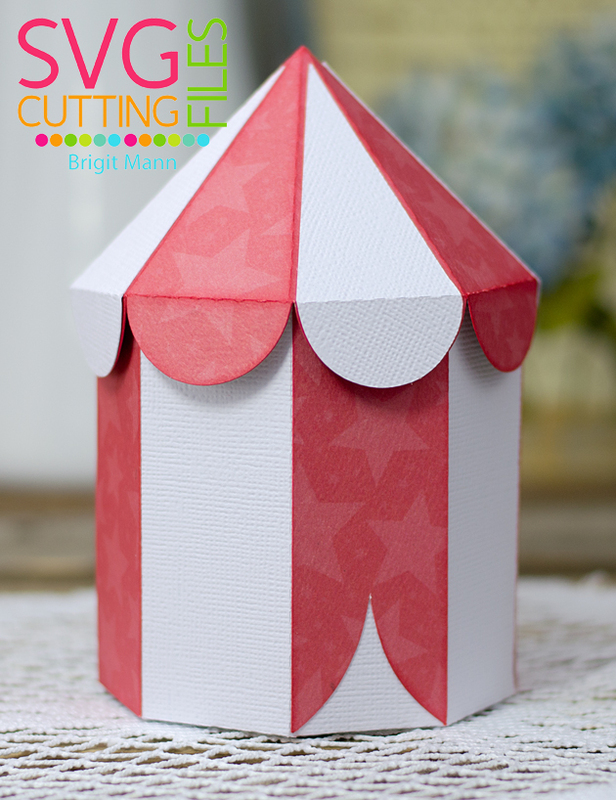 I have a cute project to share with you using the new Circus Tent Box. 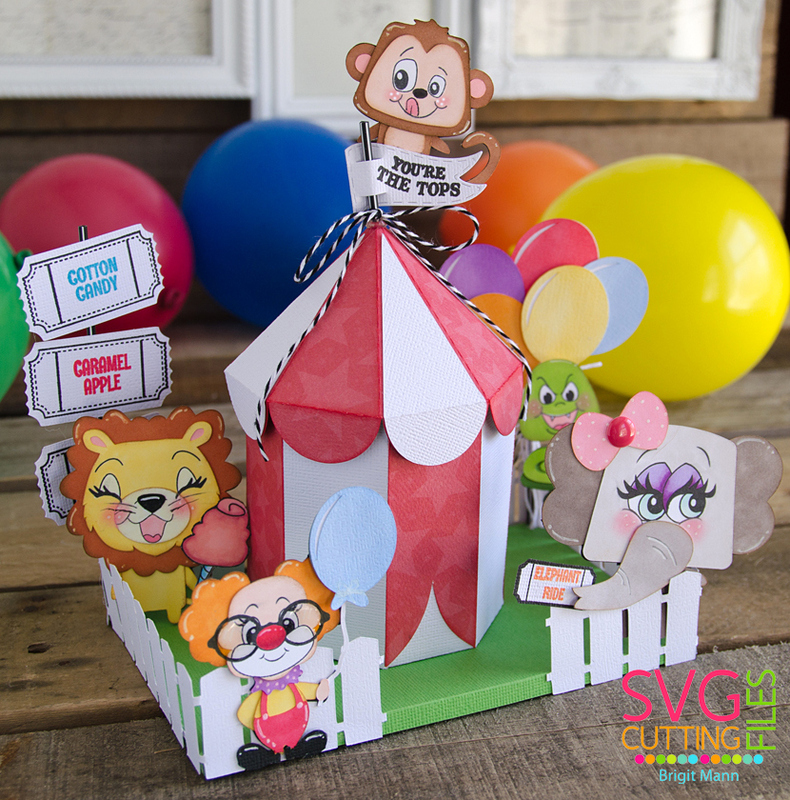 Here's a close up of just the Circus Tent Box! 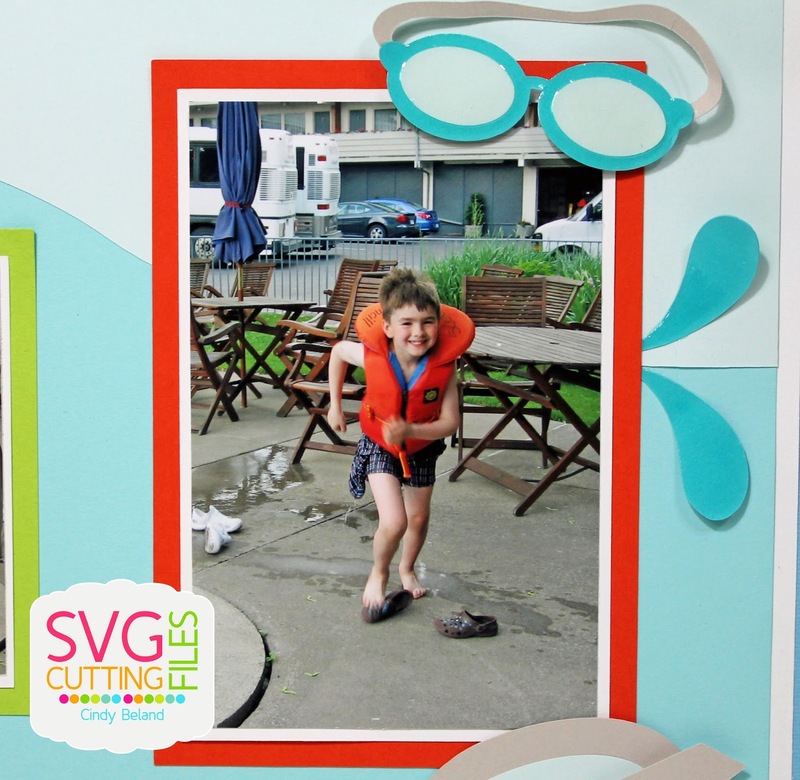 I have a cute little scrapbook layout to share with you.. 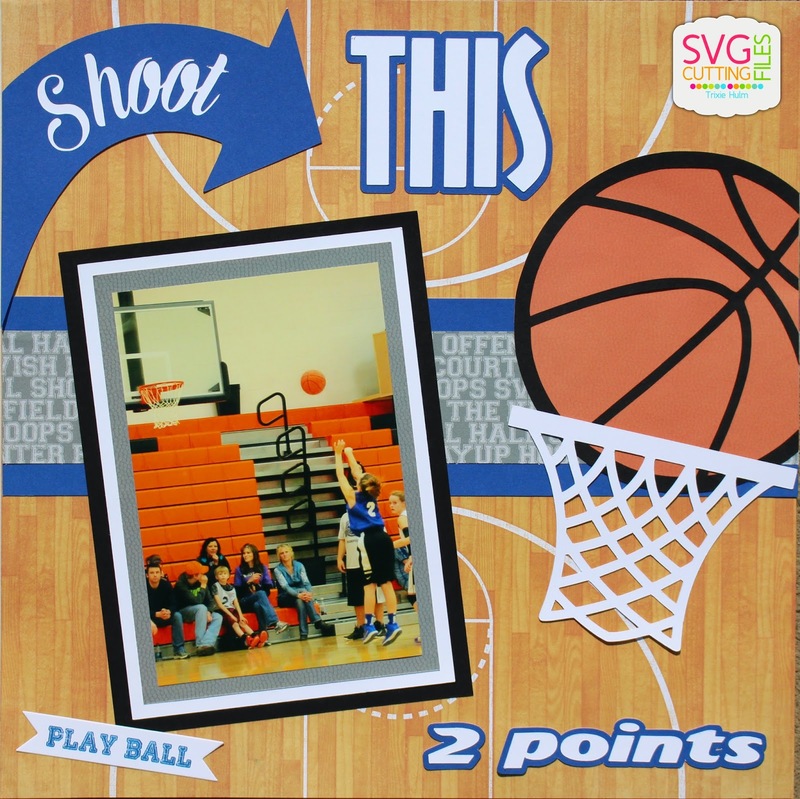 I used the NEW Shoot This Layout file from SVG Cutting Files. 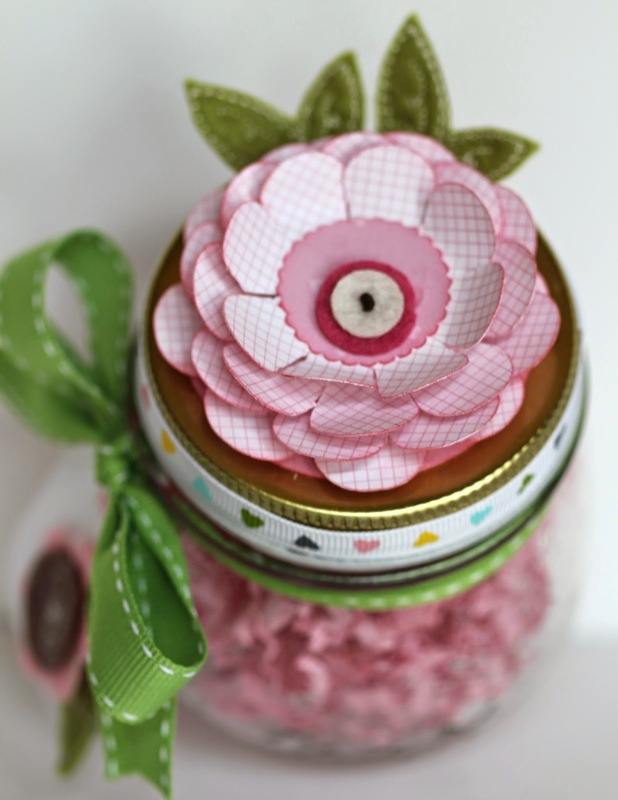 I also used the Go Team and Mini Tag Dies 2 from Jaded Blossom. I love flowers! All colors, shapes, kinds...I just love flowers. That is why I have tons of flower beds around my yard...I just hate weeding them!! Hi everyone, it's Gwen from This and That by Gwen to share a new file coming out. 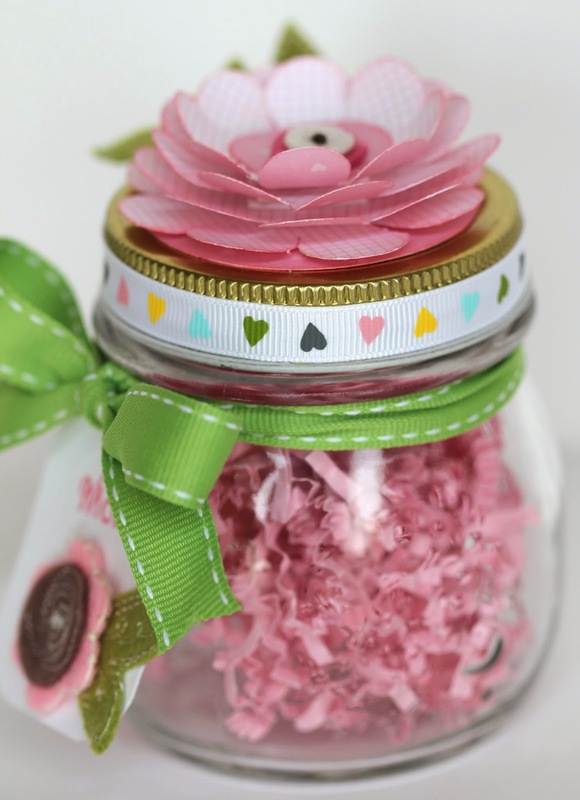 This little jar was made with the new Layered Flower cut file from SVG Cutting Files. This will be in the store on Friday so make sure to pick it up! I did cut a few more layers (4 to be exact) and made them different sizes to get the look I wanted. I also put foam tape in between each layer. 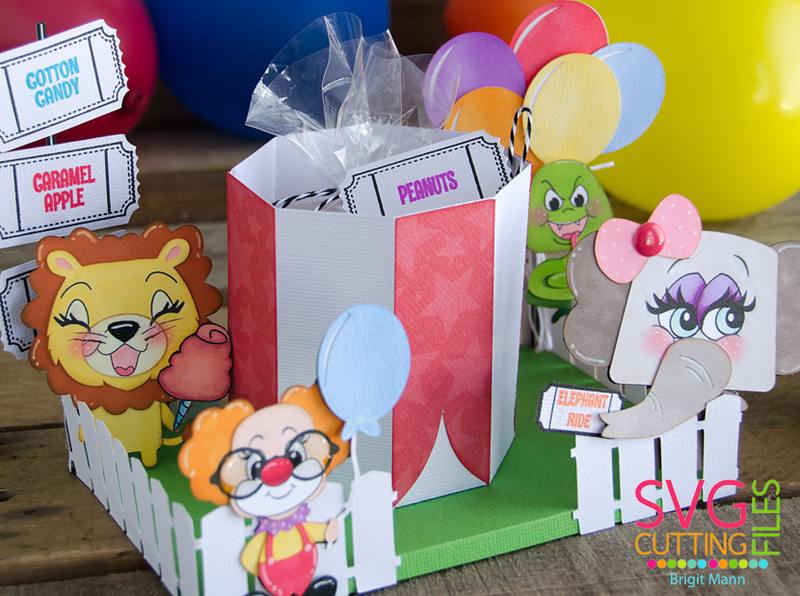 Want to win a new cutting file? Leave a comment on the posts this week for a chance to win! Winner will be announced on the blog Friday Evening. Here are the boxes open. A nice size for some candy and a gift card. The candy has "16" stamps from Jaded Blossom's Number Candies. 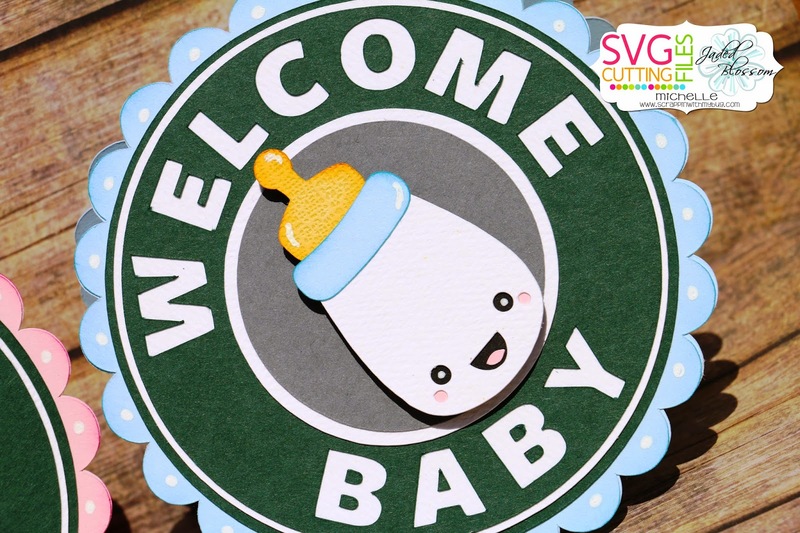 And to make things a little "sweeter", I cut out the word sweet from the Sweet Baby Layout Page. 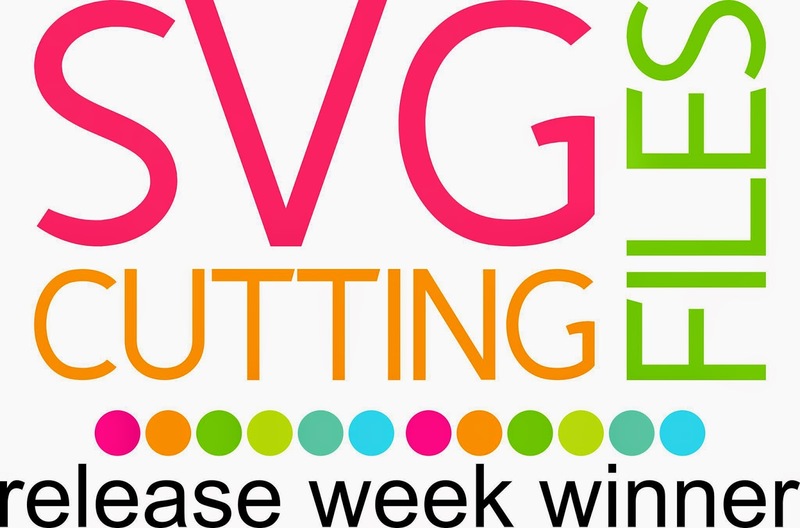 Be sure to leave a comment on this post for a chance to win one of the new SVG cut files previewed this week. Good Luck! 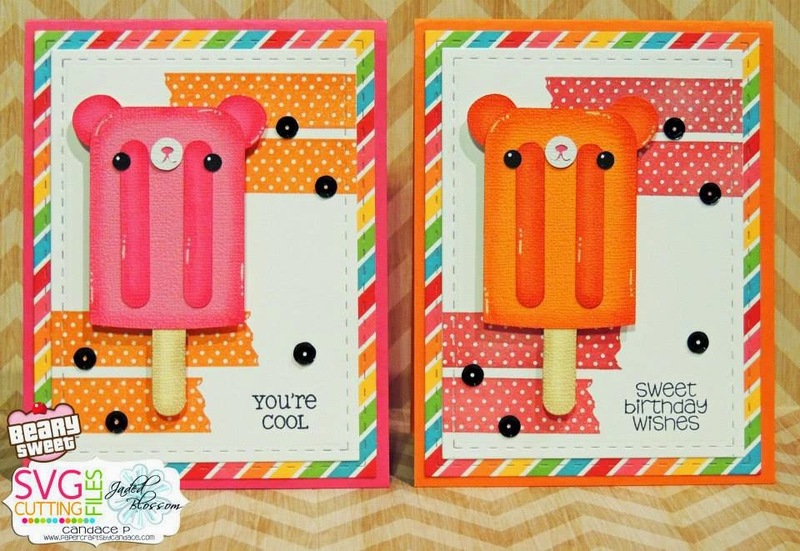 Kawaii Taco card + last post as a guest designer! 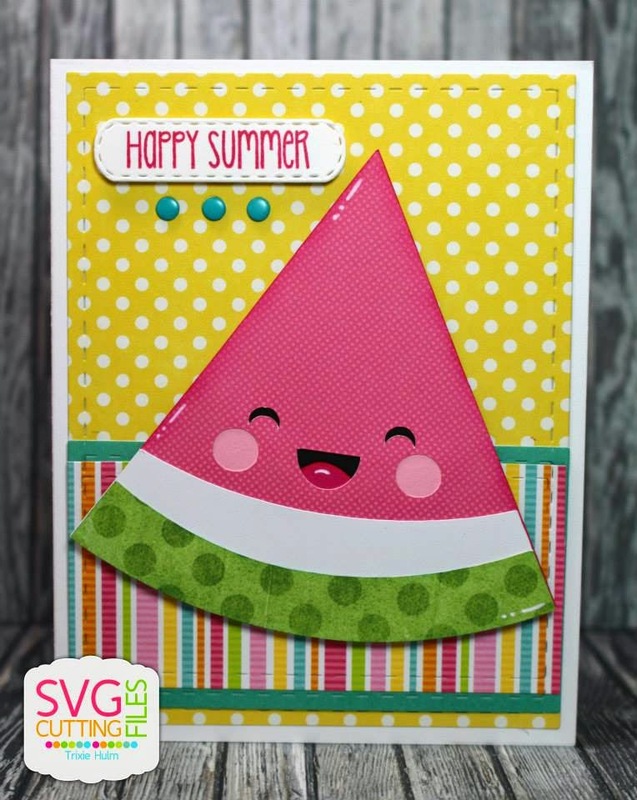 It's JoAnn and it's my last post as a guest designer for SVG Cutting Files this month! I had such a great time here - hopefully it isn't the last you're seeing of me! 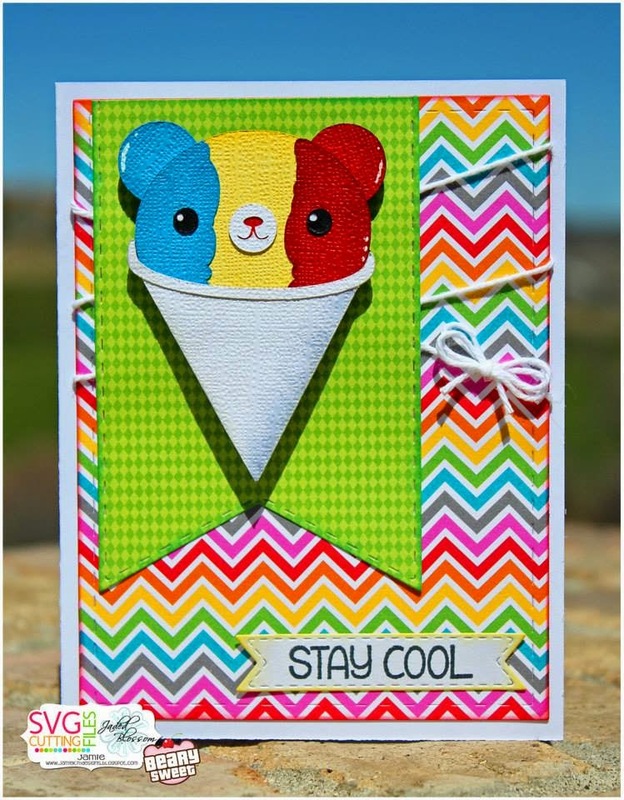 For my card today, I chose to use the Kawaii Taco file because, 1) I love Mexican food and 2) I love all things Kawaii! 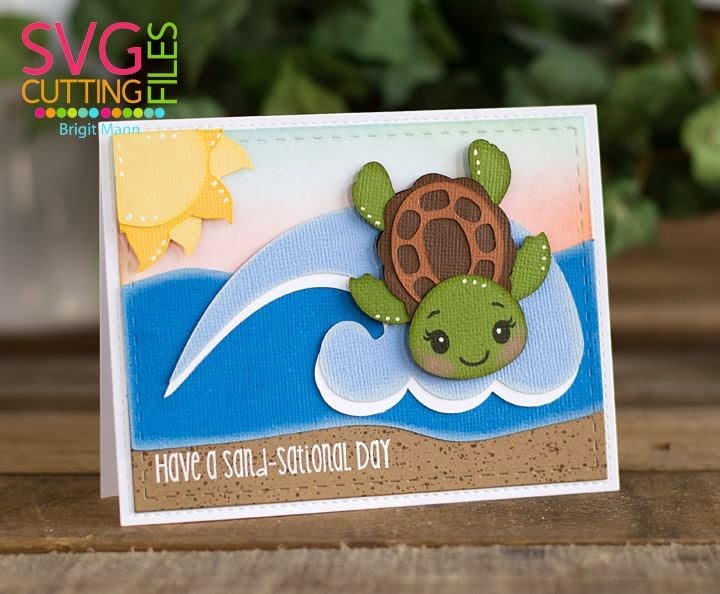 Be sure to stop by my blog to find out more about how I created this card. 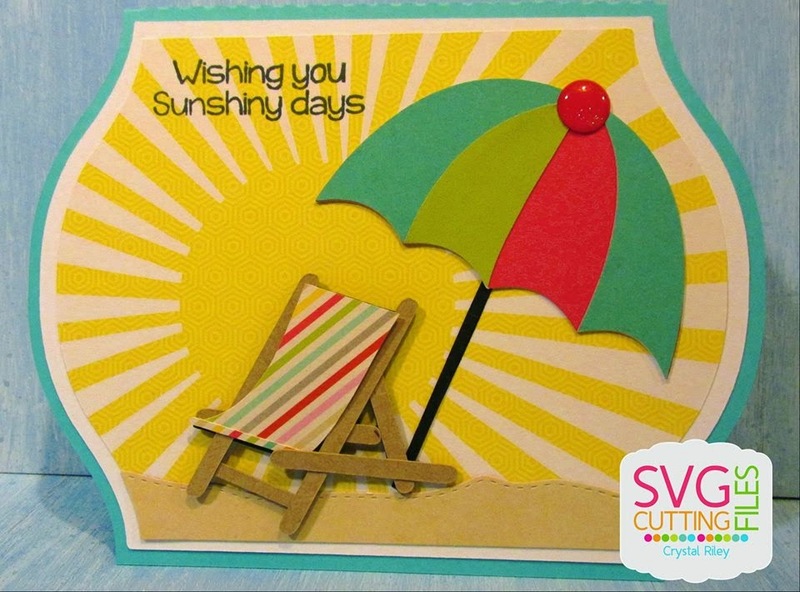 Thanks so much to Annie and everyone here at SVG Cutting Files for this fabulous month! 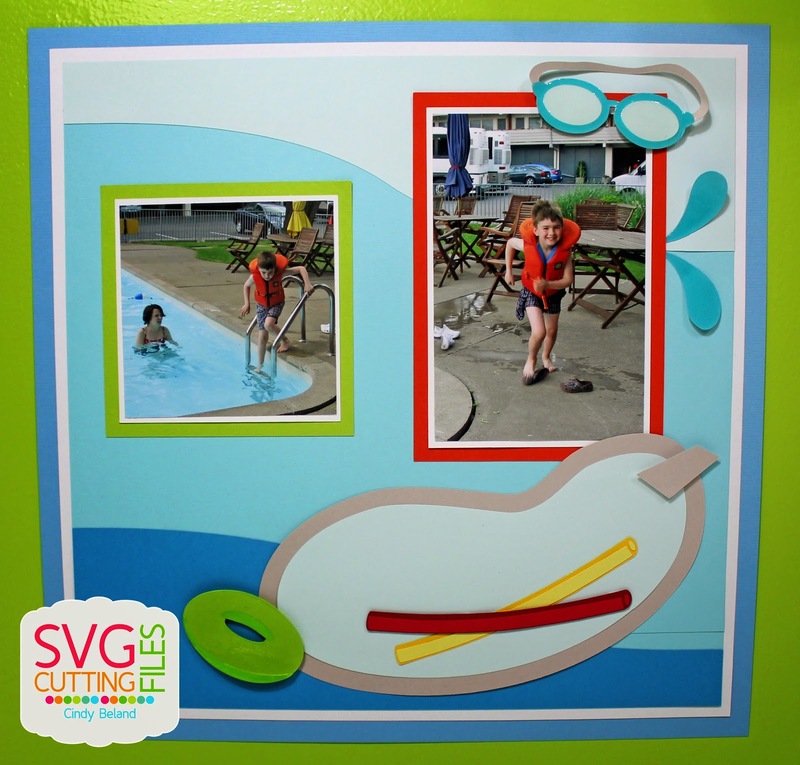 Be sure to join us over at the SVG Cutting Files Galleria on Facebook for more fun and inspiration! Enjoy the rest of your weekend! Thanks for stopping by! Hi there!! This is Candace from Candi O. 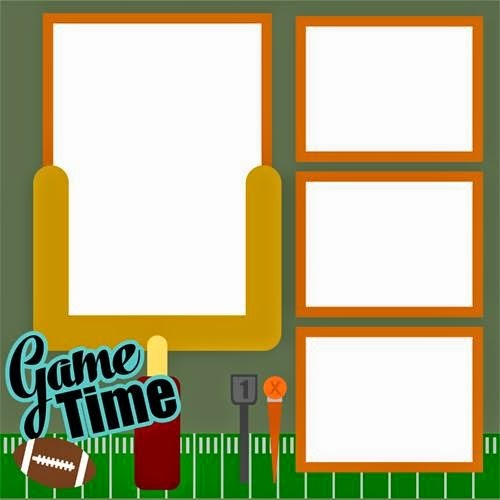 Designs and I'm here to showcase two new Page Layouts by SVG Cutting Files that will be available in store Friday ~ "Game Time" and "Kick This". 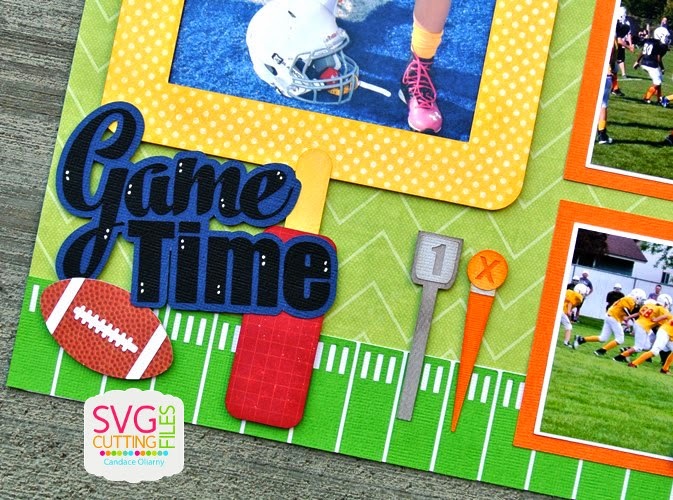 First up is this super cute Football Layout ~ it was so fun to highlight my son in action!! 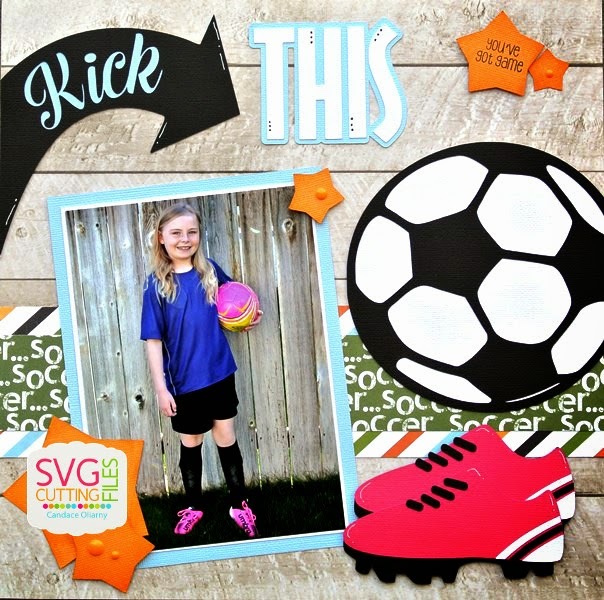 Love this page and how I could make the shoes to match my daughters!! Isn't he cute?!?! 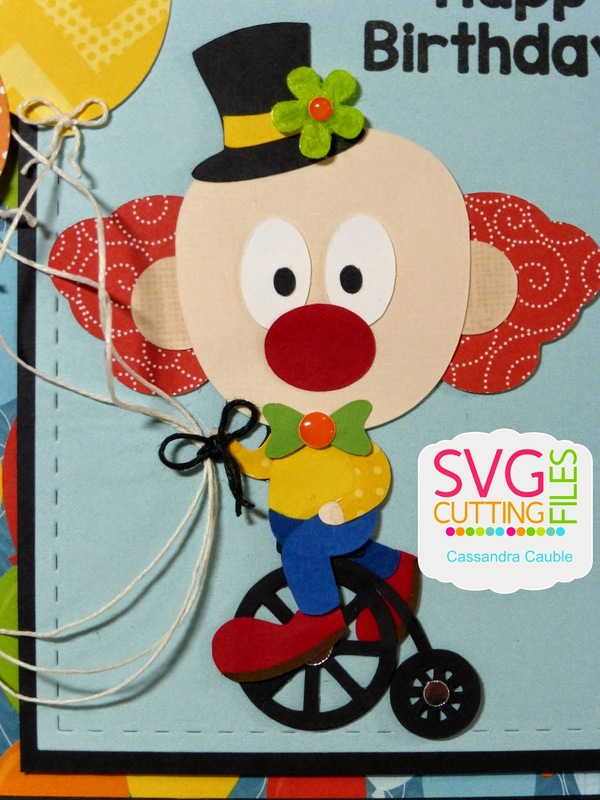 I cut him using the brand new SVG Cutting Files ~ Clown on Bike file. 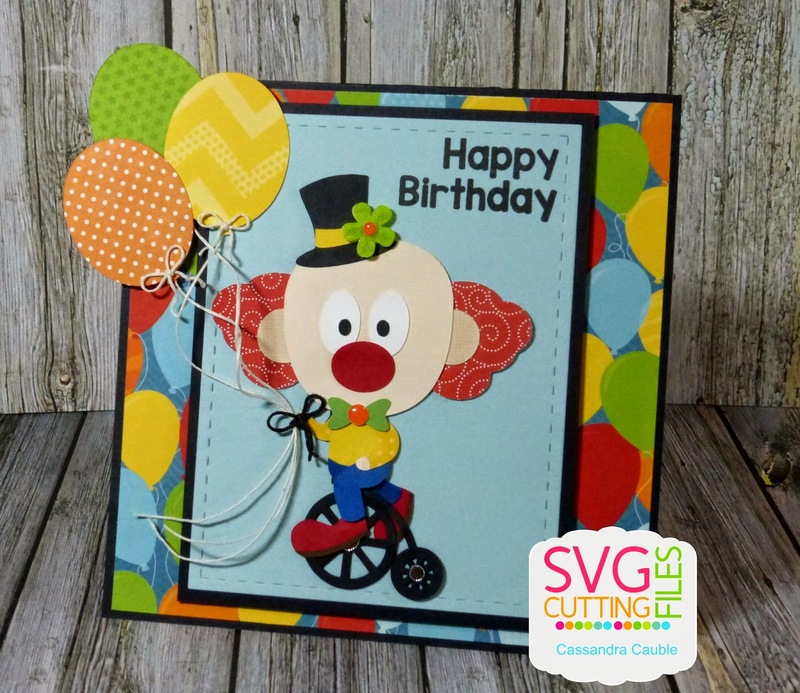 To cut the balloons, I used the SVG Cutting Files ~ Birthday Gnomes. And the "Happy Birthday" sentiment is from the Jaded Blossom ~ Supersized Birthday Greetings. Hee! I think he's just too much fun!!! Ok, that's it for me today. I will see you all again soon. Have a great day everyone! 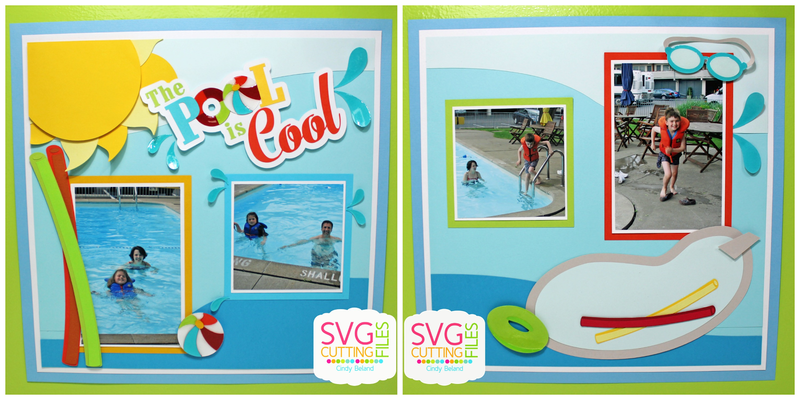 today in the SVG store, SUPER fun to make!!! 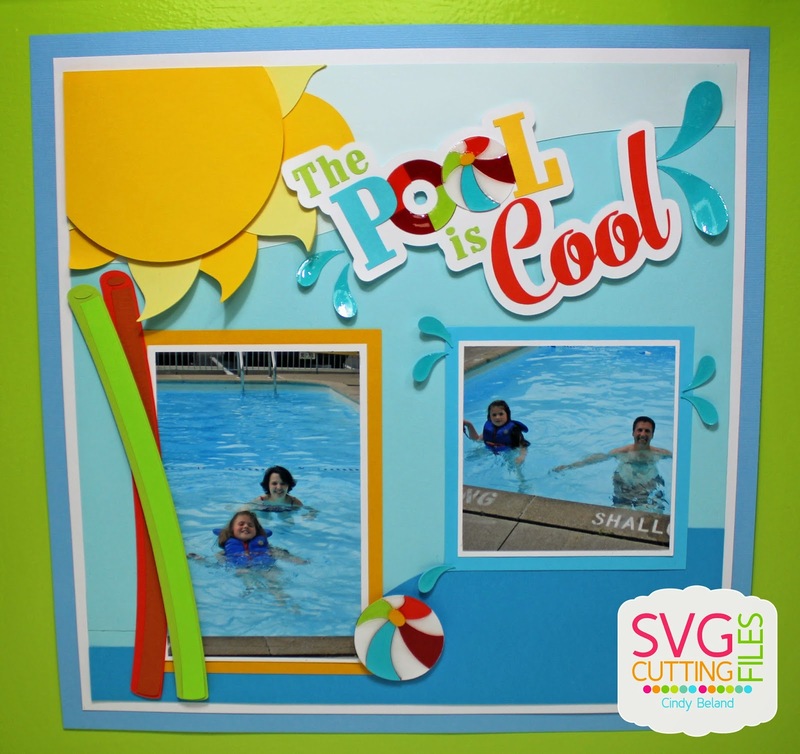 It is a two page layout called The Pool is Cool. 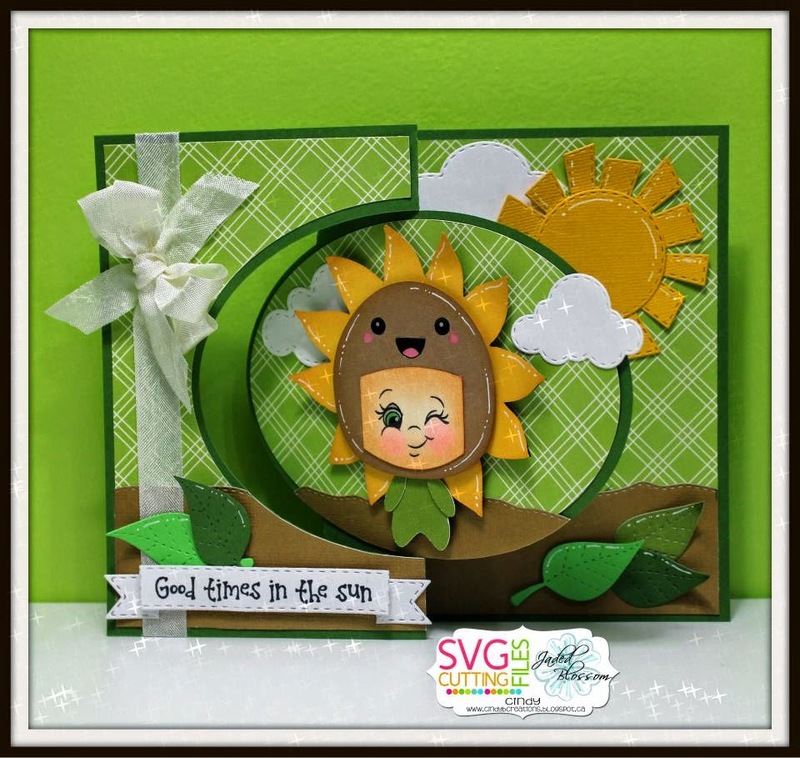 JoAnn, this month's guest designer here, and I've got a new card to share with you today using the super cute Flowerbox Girl SVG! 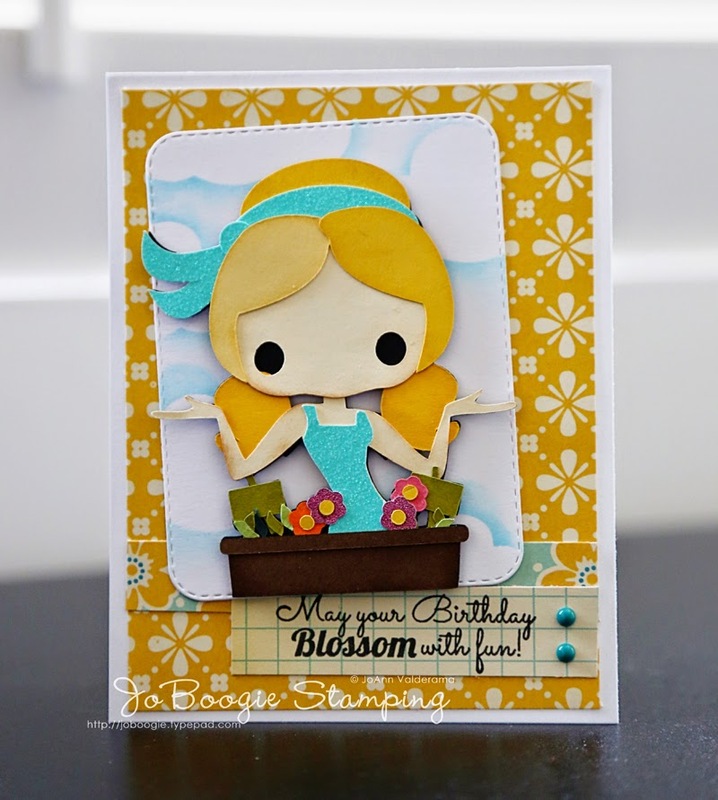 I wanted to create a fun Spring-themed birthday card to have on hand because, as we all know, as cardmakers, we need to have as many birthday cards as we can to have on hand! Didn't it come out so cute? 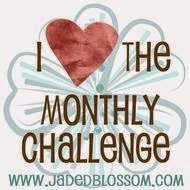 Check out my blog for more info! Thanks so much for stopping by today! Have a wonderful Sunday! 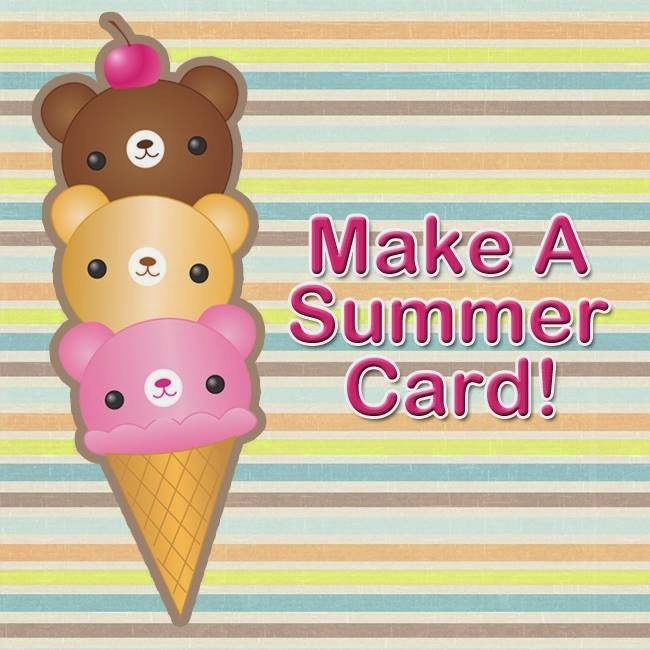 We have a "Summer Card Challenge" going on. Read more about our challenge, HERE. Hi everyone! 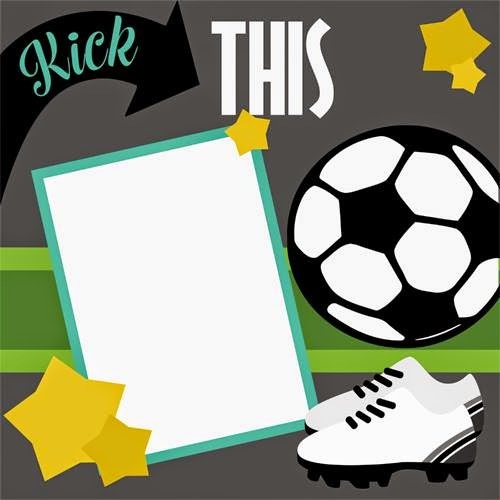 This is GiGi from The Cricut Bug and I am sharing a project I made using the NEW Chameleon file that will be in the store today. 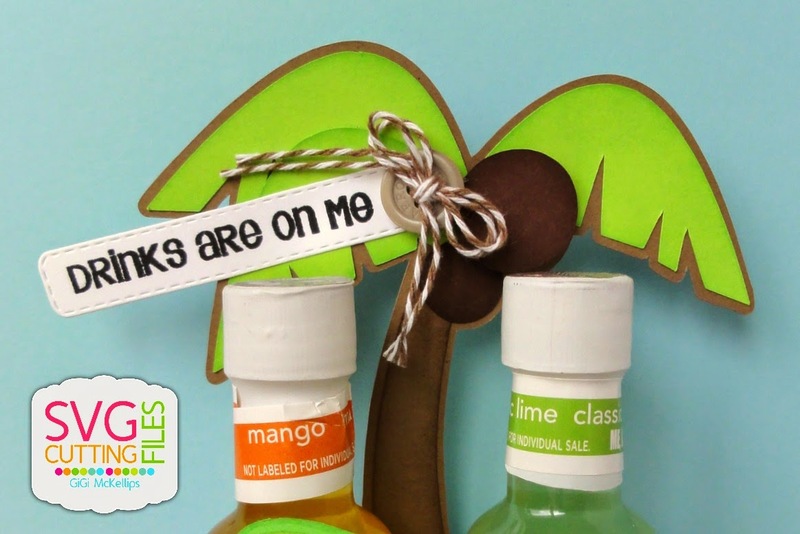 This turned out so cute and would be such a fun gift to give someone before they went on vacation or for a Birthday. 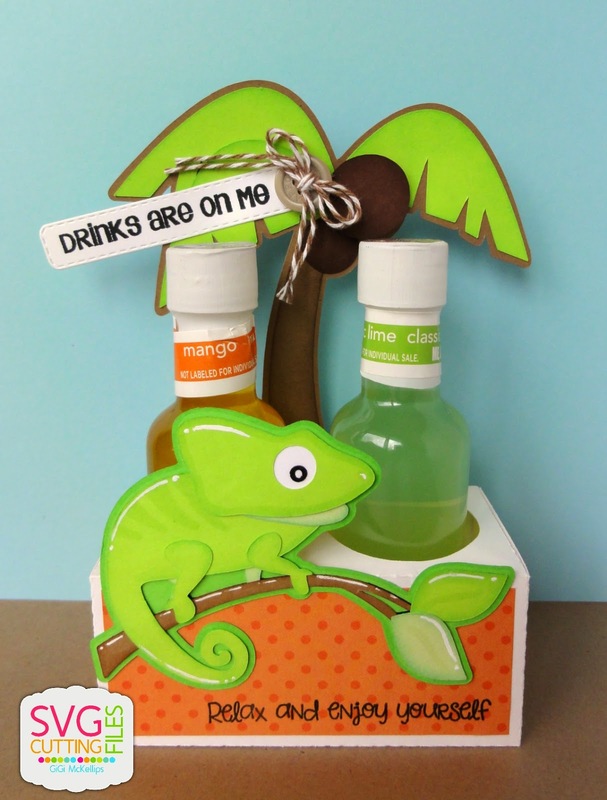 I started this project with the K-Cup Dual Platform box and shrunk it down in my Designers Edition software to fit the margarita mix's. 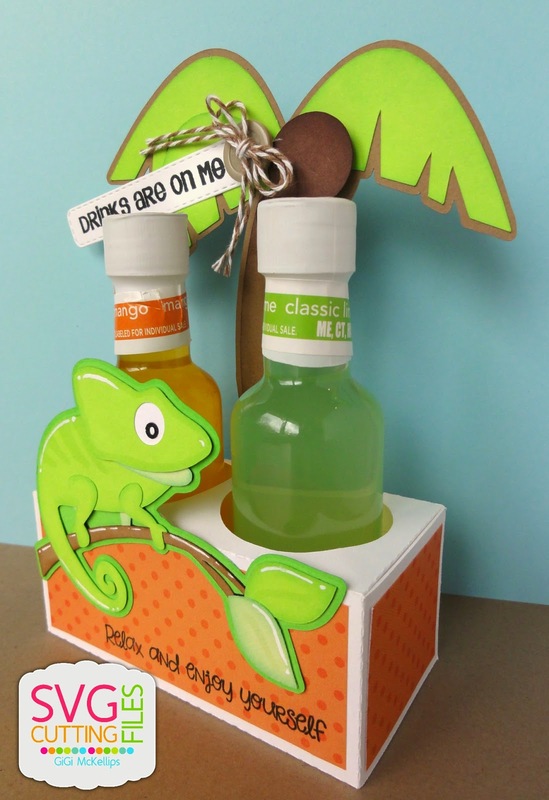 I added pattern paper mats to the sides of the box and added the palm tree that was cut from the Just Chillin cut file. I cut the sentiment banner using the Jaded Blossom Mini Tag Dies and stamped the sentiment from the Gift Cards Galore stamp set. 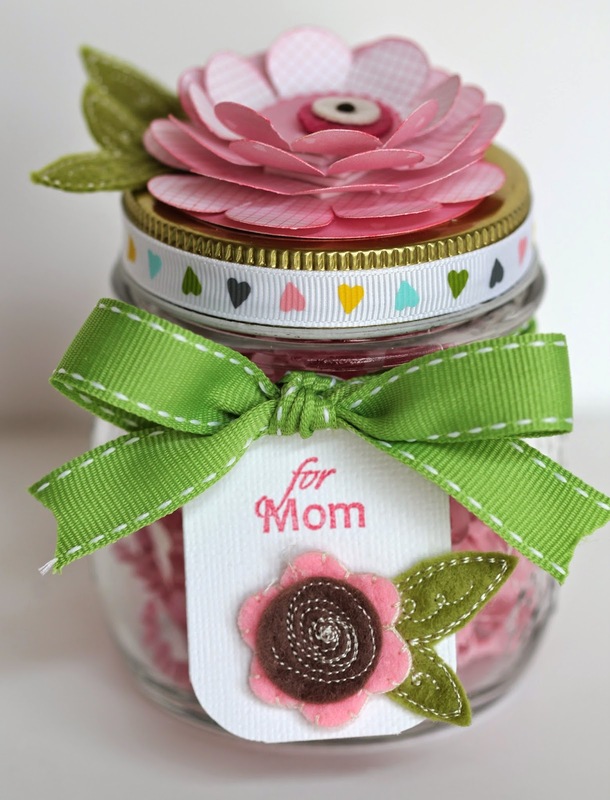 I attached the sentiment tag to a button and tied a twine bow around it. 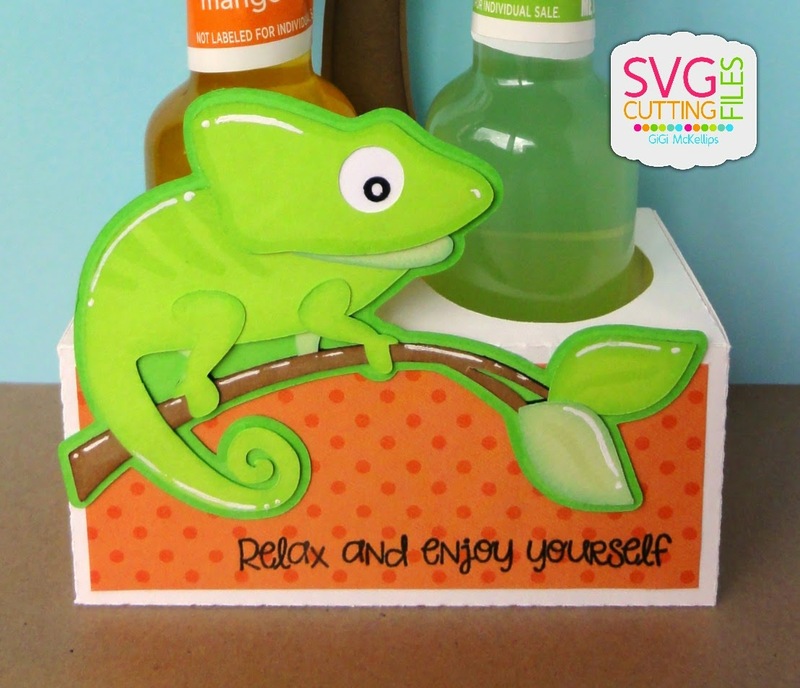 I cut out the NEW Chameleon and used a Versa Mark pen to add the stripes and outlines. I also used a white gel pen for all the white highlights. 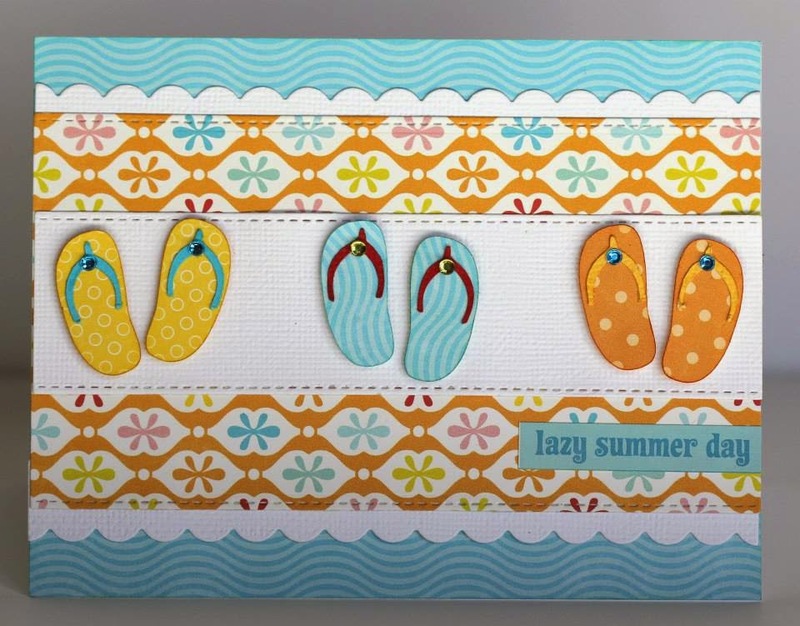 To finish, I stamped the sentiment on the front with the Jaded Blossom Aloha stamp set. 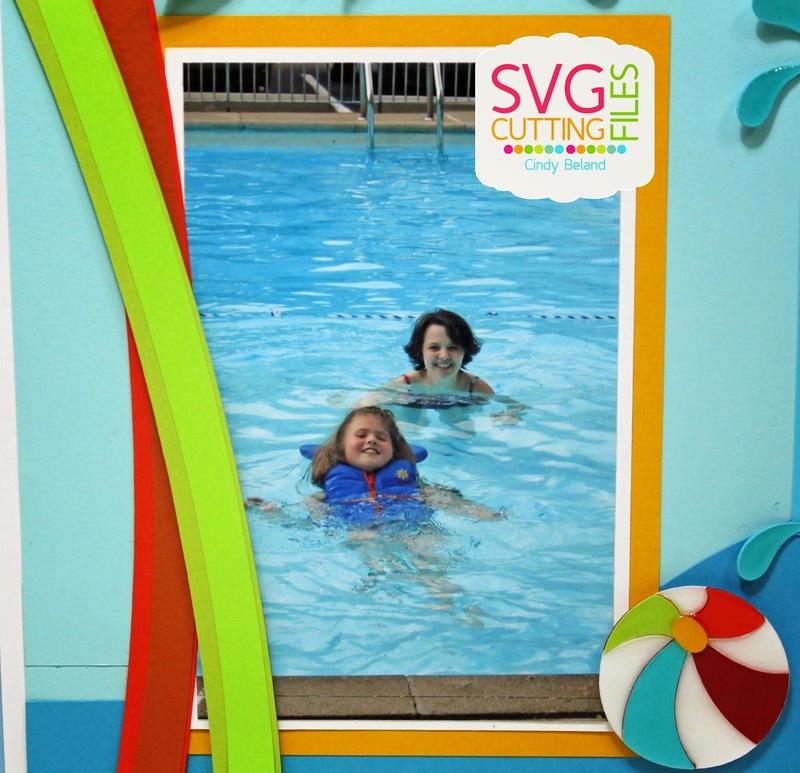 Today is my day here at SVG Cutting Files with a NEW file for you being released tomorrow ! 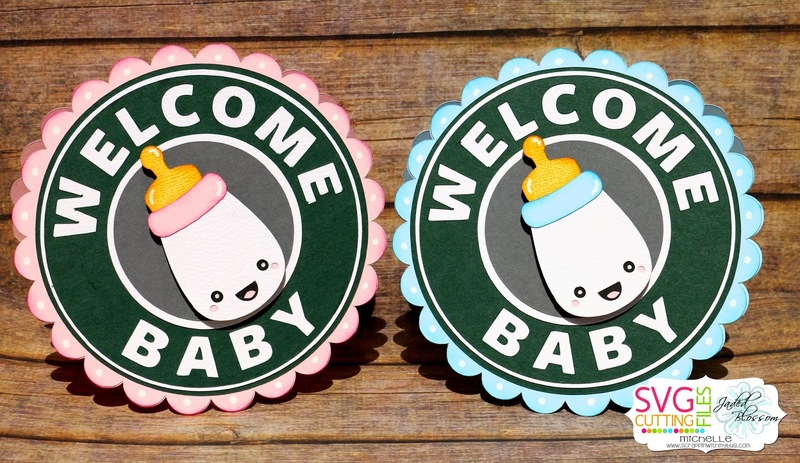 Its soooo easy to customize it to a boy or a girl !!! 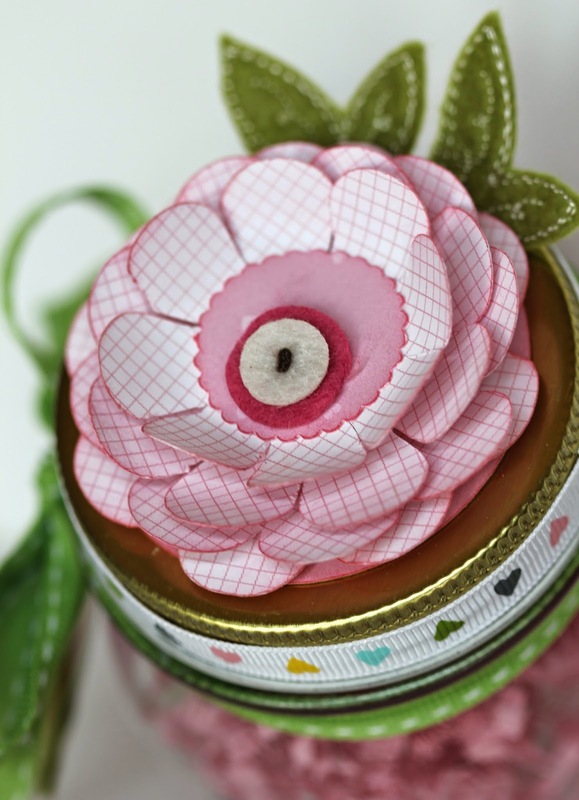 Inside holds a gift card using the Jaded Blossom gift card die ! 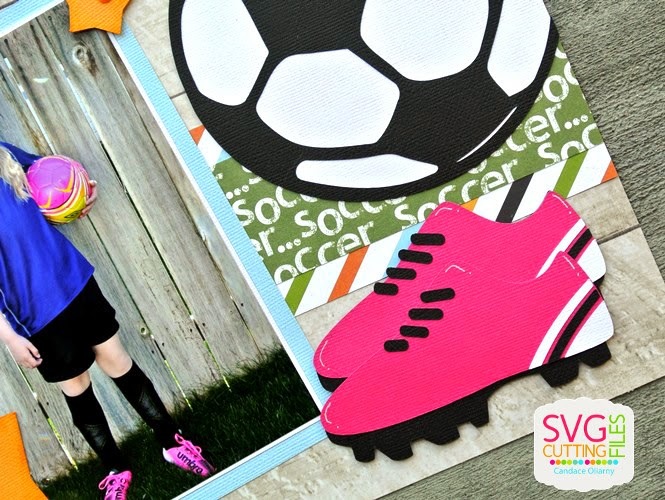 Thanks so much for checking out my baby cards made with the NEW file !!! Congratulations to Lorie Ames ! 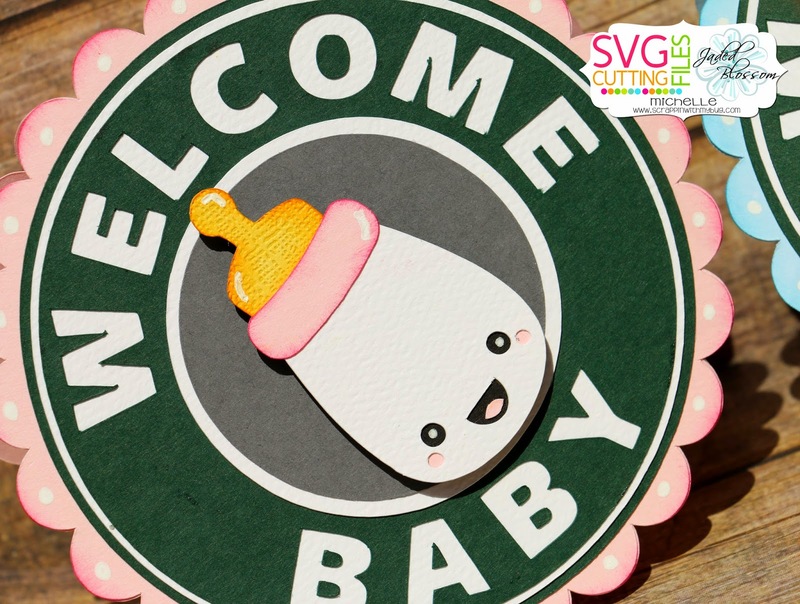 For more details about a project, click on the name of the designer and that will take you to their blog. 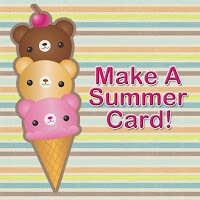 Hope to see your Summer Card entry at the Challenge this month. 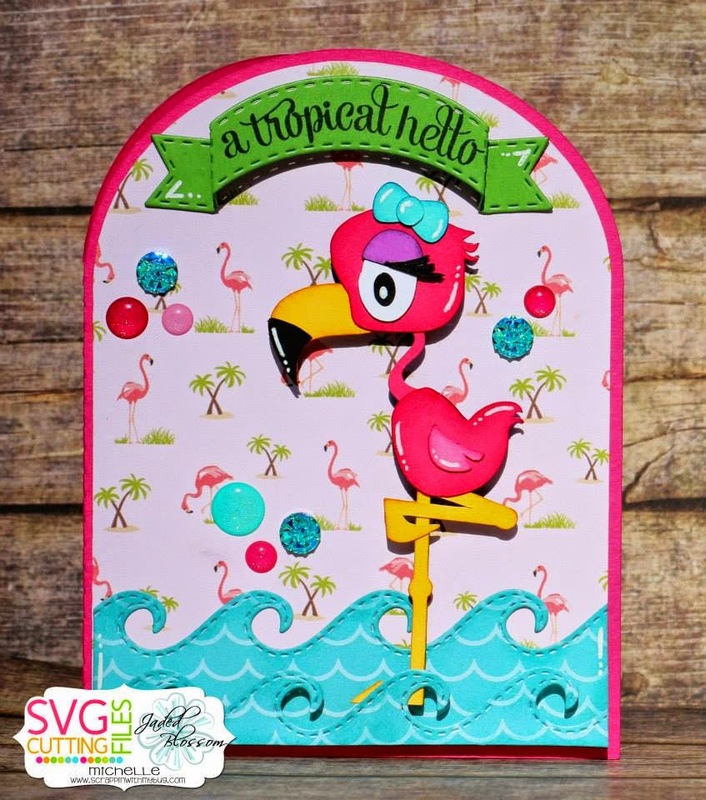 April Guest Designer: JoAnn Valderama! A home for the birds!